No matter which format, each one of our prints is made on demand, just for you -- not mass-produced. Our personal hands-on processing assures the highest quality. We print on heavy-stock, semi-matte paper for the best possible combination of color vibrancy and durability. The vibrancy of color we achieve is due in large part to the unique inks we use. Paper Prints are available in a variety of sizes and normally include a white border of about 1/2" to 1" on all four sides. For any image in our catalog, you may choose to have your print framed by our professional framing team in a standard black or gold wood frame. In addition, you may choose to add a white matte to your framed print. A clear durable plexi-glass facing protects your print and adds a lusterous shine. Framed prints come with all the necessary hardware for hanging. No assembly is required � just unpack your picture, and hang it up on the wall! 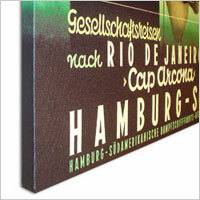 ClassicPix.com's most popular format is the Canvas Print. Our unique finishing process of stretching the canvas around a wooden frame creates a striking three-dimensional piece of art, and means that no additional framing is necessary. Your canvas will arrive ready-to-hang. 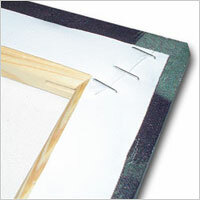 The high-quality canvas material is securely mounted over a sturdy wood frame for maximum stability and taughtness. Our 20x30 canvas prints use heavy-duty 5/8" wood, while all other sizes use 1-1/2" wood. If you have any questions about any of our products, feel free to contact us.